November 23rd is the 24th Sunday after Pentecost and for this year it is the last Sunday before the beginning of a New Christian Year, which we herald next week on Advent Sunday. In 1994 with the publication of the Common Revised Lectionary the mainline Christian Churches including those of the Anglican Communion adopted Christ the King as the last Sunday of the Christian Year. To me this is a somewhat perplexing decision. The commemoration of Christ the King is a relatively recent Roman Catholic institution. In 1925 Pius XI proclaimed the feast of Christ the King as an assertion of the Catholic Church’s authority in the face of the rise of fascism and the growing power of communism. 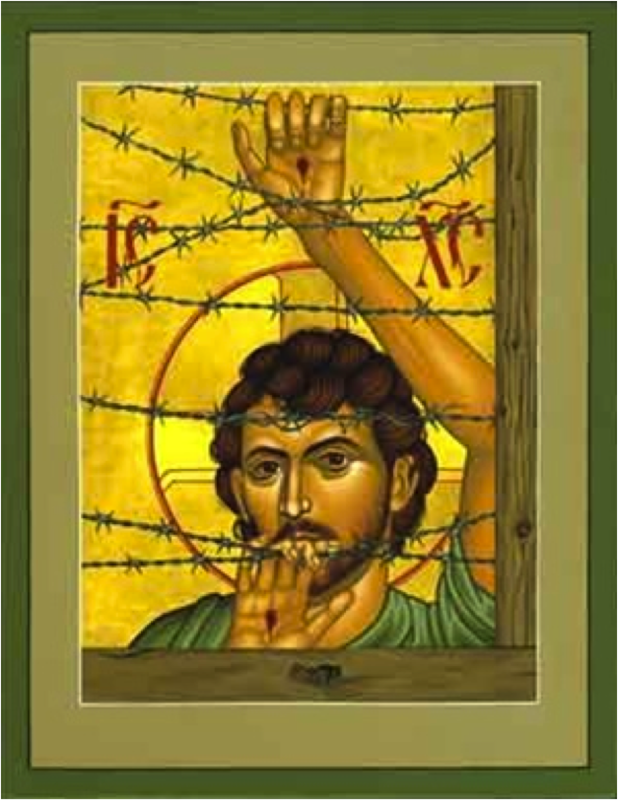 Pius’ proclamation is a challenge to the rise of totalitarianism. Yet, it also needs to be understood within the broader Italian context dating back to the unification of the kingdom of Italy in 1861 when Rome was effectively annexed as the capital of the new country. This resulted in the drastic reduction of Papal territory to the square mile surrounding St Peters, now known as the Vatican City, within which the Pope’s between 1861 and 1929 regarded themselves as virtual prisoners. The proclamation of 1925 sits within a much longer historical trend. In 313, the Emperor Constantine adopted Christianity as the official religion of the Roman Empire, forever changing the developmental course of Christianity. The Church now became a great institution of state adopting the images and attributes of political and economic power. As Pius understood it, the proclamation of Christ the King, was a triumphalist assertion of the Church’s Constantinian power against the rising tide of fascism and communism. It was a proclamation of one totalitarian system against rival totalitarian systems, all of which were in competition for hearts and minds. The Episcopal Church has no worldly power to assert. Consequently, for us the celebration of Christ the King as an assertion of the Constantinian Christ as Pantocrator, i.e. Christ enthroned and ruling over the world, is not part of our thinking. It does not sit easily with us. For us, the commemoration of Christ the King is a celebration of the mission of the Christ and his Church, not as ruler of the world, but as agent of the Kingdom of God. Matthew 25 contains three final parables of the Kingdom. It begins with the parable of the wise and foolish virgins, followed by the parable of the talents, and ends with the parable of the sheep and the goats. In the first two parables, the on-the-surface message seems to confirm the core values by which so many of us live today. These are the values of the individualized society. In the individualized society the concept of the autonomous individual holds sway. Easily, we read in the parable of the virgins a confirmation of the individualized society’s values of self-sufficiency. Based on our own individual preparedness and forethought, we live in anticipation of the need to be prepared for all future challenges. We are bolstered in this approach to life by the fear. We are terrified of the shame of being exposed, as in the case of the foolish virgins, as woefully in-self-sufficient. Being in-self-sufficient equates to social sin in our culture of the individualized society. I have more fully developed this theme in my entry for November 8th https://relationalrealities.com/2014/11/08/the-plight-of-virgins/ . remains as troublingly true today as it was in his time. My entry for November 16th https://relationalrealities.com/2014/11/15/an-adequate-return/ explores this further. In response to mounting criticism of her policies, which to many of us in 1980’s Britain seemed to be a direct attack on the postwar British consensus of society built upon the pursuit of the common good, Prime Minister Margaret Thatcher, talking to Women’s Own magazine in October 31 1987, with characteristic vigor asserted: There is no such thing as society! I footnote her actual statement below to show the fuller context of her thinking, because for those of us on the center-left, these seven words became our anti-Thatcher battle cry. At the time, I and others like me had little interest in viewing these seven words within their fuller context. Yet, with the passage of time it has become possible to read her fuller statement as pointing to something more nuanced than a crude reiteration of the values of the individualized society. Reading the fuller statement reveals Margaret Thatcher in 1987, attempting to grapple with the social and political conundrums of our post 1945 age. Conundrums we are still struggling to work through. In fact, Thatcher’s 1987 comments pose an even greater urgency for us today. The years between 1987 and 2014 seem to shrink to a mere distance between yesterday and today, so pertinent have her words remained. Chapter 25 ends with Jesus’ final parable of the Kingdom. In the parable of the sheep and goats the assumed direction of Jesus’ teaching, so easily heard by us as a confirmation of our individualized social values, takes a disconcertingly new direction. Prudence and success give way to the priority of compassion. Matthew 25 in its entirety presents Jesus teaching on the importance of taking personal responsibility not only for myself, i.e. the individualized society of the mythic autonomous individual, but the importance of taking responsibility for myself as a means, simultaneously, of looking out for my neighbor. The need to take responsibility for my neighbor affirms the truth that my self-interest is always best served when I contribute to my neighbor’s flourishing. Neighbor is a relational term, and our capacity for relationship rests on the dynamic tension within ourselves between fear, which makes us self-protective, and generosity, which opens us to joy. In a further interesting aside, neuroscanning technology reveals to us that it is the same region of the brain that lights up, whether the subject is experiencing the joy of giving or the pleasure of receiving. Both giving and receiving use the same neurocircuitry. The parable of the sheep and the goats reveals interdependency as a core value of the Kingdom of God. Neither independence nor dependence, interdependency offers a middle way between the extremes of individualization, everyone out for themselves, and collectivization, everyone subject to the depersonalization of the bureaucratic state. I am grateful to Carl Gregg http://www.patheos.com/blogs/carlgregg/2011/11/four-spiritual-practices-for-preaching-on-matthew-25-a-progressive-christian-lectionary-commentary-on-mt-25-for-nov-20-2011/ for reminding me of the story in the Prologue of M. Scott Peck’s, The Different Drum; Community Making and Peace. Scott Peck relays the story of the abbot of a dying monastery who seeks the counsel of a hermit in an attempt to find a solution to the monastery’s decline. They talk and pray together but no solution presents. As the abbot takes his leave the hermit casually invites the abbot to consider that maybe the Messiah is already here among his remaining, now aged monks. The abbot upon his return shares with his brothers the hermit’s invitation. Each monk now begins to contemplate the unlikely prospect that one of his brothers, whom he finds so tiresome, might be the messiah. He even has to consider that he himself might be the messiah and the combination of these two possibilities brings about a dramatic change in the interpersonal chemistry of the monastery. Families began using the monastery grounds for picnics. Over time, through repeated conversation with the aging, but now newly inspired, monks some of the young men of the vicinity become drawn in the vocation to religious life. Soon new life begins to flow into the old monastery as new young aspirants join. 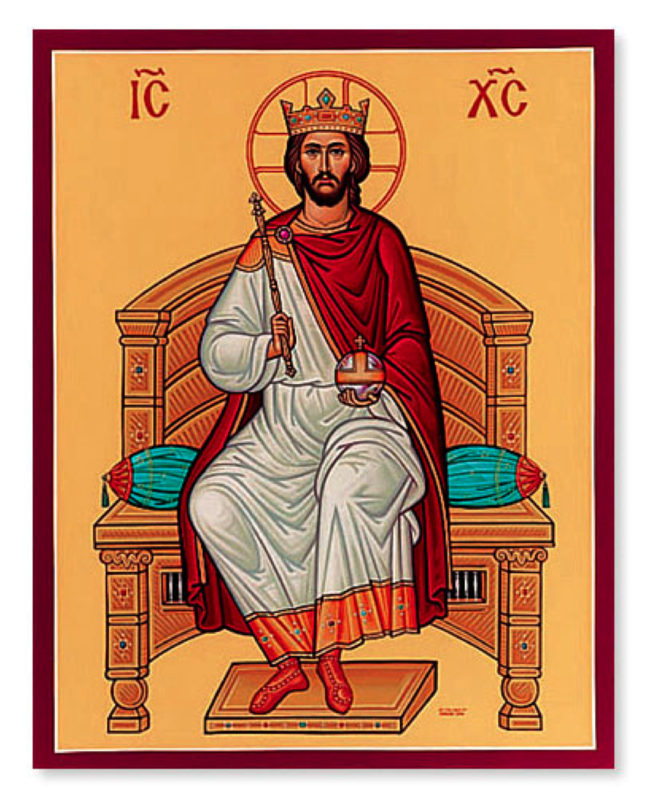 Christ the King is not a celebration of the kingly power of the Church. It is a recognition of the need to work tirelessly for the realization of kingdom ways. Kingdom ways, as articulated in the parable of the sheep and goats is more than a simple injunction to feed the hungry, cloth the naked, visit the sick and the imprisoned, as a kind of modern religious social work. It invites us to embrace the image of society as a rich tapestry woven from the exercise of responsibility. This is not a responsibility to maintain our own self-sufficiency. Taking responsibility for ourselves requires of necessity, that we look out for one another. Jesus invites his hearers to see God in themselves. Usually, we are invited to see God in others, but how can we recognize God in others unless we already experience the presence of God in our own lives? Well said Mark! I couldn’t agree more! I wish I had heard this is person. Father Troy didn’t make it this clear, but he did a good job today. A proper letter of thanks is on the way. Never thought I would be quoting Baroness Thatcher approvingly haha. I feel I need to thank you. I did so appreciate you coming all this way. Can’t believe it’s only a week ago. Still coming down – I hope not with a bump.